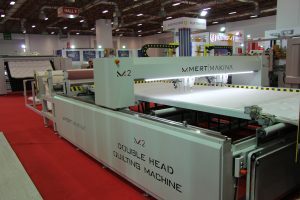 Mert Machinery presented its complete line of production composed of nine units in the fair. An innovative player in the mattress manufacturing machinery field, Mert Machinery repeats its successes in domestic market by exporting to several countries. 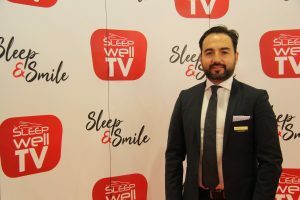 CEO of the company, Mustafa Nebi Dogan, shared his views about Sleep Well Expo. Which machinery did you display in the fair? As the largest participant in the Sleep Well Expo fair this year again, we installed nine machines of our company in fair venue. 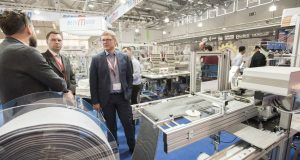 Addressing to four different sectors our machines were exhibited in the fair to the attention of visitors coming from several countries, as a complete production line in the fair, including machinery for quilt, locked stitch, chain sewing and for packing mattresses. How fares the fair for Mert Machine? You know that Sleep Well has become an indispensable tool and event for us. 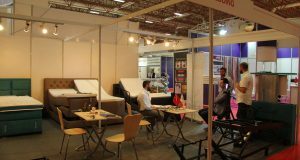 The popularity of Turkey in the mattress industry in the world and the number of visitors both coming from the country and from abroad are rising remarkably. Besides, we saw new visitors from South and Central America, India and other countries. Sleep Well is going to be an international fair beyond being a regional event. This is reflected to our businesses, as well. Recently, exports have gained vital importance for our country. From this point of view I can say that the fair is seen so successful and fruitful. Do you have any message that you want to deliver? 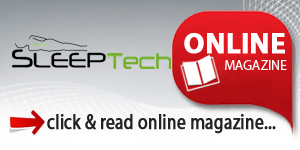 Sleep Well Expo has proven itself as an indispensable event for the mattress industry. 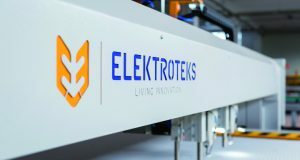 We expect that all of the companies serving in this field and in their sub-industries should participate in this event. All of the visitors that came to the venue has found opportunity to visit all the companies in the fair. We hope that, the third hall is to be open for visitors next year to host more companies and to serve more visitors. We are happy with the returns but why it should not be an international fair organization?